Wisdom is the crown, love is the way, and power is the key to realize perfection. Sign up below to become a member of SURA, the spiritual academy and brotherhood, and get access to our online community and mobile apps. Please use the learn link above to learn more about the SURA Academy, our entrance examination and membership fee. Thank you for signing up! You will get a mail from us shortly. Reach out to us at hello@sura-academy.com if you get stuck anywhere. Read the following documents to learn more about the SURA Academy. I am happy to share my experience at Sura Academy - it has been a true mystical and Divine blessing. There are countless paths one might take for their spiritual development. The Sura Academy teachings provide the distilled wisdom and essence of those paths for practical use and personal training. It is an exceptional opportunity to be a part of an international spiritual fellowship and to receive enlightenment and support from Ray and other spiritual souls. Ray is truly professional and attentive to all the students and the school's needs and wishes. There is always a high degree of interaction, love, and support that is available so that each individual may flourish in life and in their development. It is simply powerful to experience such a positive progress in life and in self-mastery. Sura is truly a gift and a blessing for every honest soul on the spiritual journey. For all of us, Ray is a master and brother on the path, and we enjoy wonderful times of growth, enrichment and friendship all together. To every true spiritual seeker, to every genuine spiritual person, to everyone who desires to enjoy the treasures of spiritual growth and spiritual friendship, I highly recommend not to hesitate in joining us, as being a part of the Academy is for sure one of the most beautiful and holy experiences a human being can make, and also for me has been so. The teachings of Master Arion and Ray del Sole in Sura have enlightened my life, and I am grateful to them for their service, for the light and the hope they give to this world. The truth is that there are people who speak from their initiation into Hermetics, but none of them answered my questions. I chose Ray del Sole because i've felt that he has that goodness, patience and because he not only answered my questions, but he guided me with wisdom and a great dedication. It is wise to be near a man who shares his wisdom, friendship and love. Thank you, brother and Master! Ray Del Sole is a wonderful source of inspiration and advice, and I have found his personal teachings, and that of the ‘Sura Academy’, support my own development and progression with meditation and the Hermetic teachings of Franz Bardon. I am very grateful to have found, and to be a part of, the growing Sura Academy whose members are some of the most genuine, helpful and spiritual-minded people you could meet. 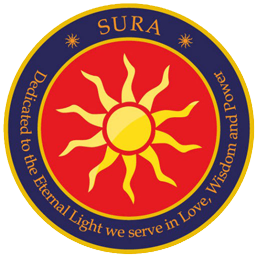 Sura Academy is the Ray of hope for the people who seek truth and who wish to serve Divine Providence with love. Ray del sole, is the one who introduced me a whole new world, which is full of love, hope, faith and beyond any illusion. His hermetic teachings of Franz Bardon, healing sessions, meditation techniques have had a great positive impact on me. His loyalty and dedication towards this work, has encouraged me to work hard. He is an inspiration to me. I am glad to know him, to be with him in this Journey and to be a part of this wonderful family, which is strongly bonded with love – The Sura Academy. I am very grateful to Ray, for everything he is doing for this world. Love and peace.